The Walt Disney Company must be a fun place to work. Even the Seven Dwarfs have smiles on their faces as they sing "Heigh-ho, Heigh-ho, it's off to work we go!" But who knew cartoon characters would be asked to hold up the floors of Disney Headquarters in Burbank, California? Designed by internationally known American architect Michael Graves, this whimsical building is a landmark example of entertainment architecture. The Walt Disney Company is not just for kids. When you visit any of the Disney theme parks or hotels, you'll find buildings designed by some of the world's leading architects, including Michael Graves. Typically, theme park architecture is as the name implies — thematic. Borrowing popular motifs from history and fairy tales, theme park buildings are designed to tell a story. For example, it's well known that the romantic Neuschwanstein Castle in Germany inspired Disneyland’s Sleeping Beauty Castle in Southern California. But the Walt Disney Company wanted more when Michael Eisner took over in 1984. ''We're not about safe-deposit boxes. We're in the entertainment business,'' Eisner told The New York Times. And so the company set out to find architects to develop an entertainment architecture. All architects do not submit to the blatant commercialism behind entertainment architecture. Most notably, when the Disney Company was enlisting architects for their Disney World expansion, Pritzker Laureate James Stirling (1926-1992) denied Disney's advances — the commercialization of Britain's Queen, the changing of the guard, and other regal traditions soured the Scottish-born architect on using architecture for frivolous commercial promotion. Many postmodernists, however, jumped at the challenge of designing an architecture whose purpose was to envelop entertainment. They also jumped at the chance to be part of the powerful Disney empire. Architecture becomes magic, whether designing for Disney or not in the 1980s and 1990s. Robert A. M. Stern may be the most prolific Disney architect. At the Walt Disney World Resort, his designs for the BoardWalk and the 1991 Yacht and Beach Club Resorts are modeled after New England private resorts and clubs — a theme Stern also used for the 1992 Newport Bay Club Hotel at Paris Disneyland in Marne-La-Vallée, France. Even more Disneyesque is Stern's 1992 Hotel Cheyenne in France — "conceived in the image of a nineteenth-century American western town, but filtered through the lens of Hollywood....Hotel Cheyenne is the town itself." The meaning of "the lens of Hollywood" is, of course, what became known as "the Disney version" and not the 1973 horror tale of robots gone amok in the Westworld movie by Michael Crichton. A New York architect known for his sleek, postmodern urban designs, Stern developed the art moderne Disney Ambassador Hotel in 2000 in Urayasu-shi, Japan — a design that "looks back to an architecture that represented the promise, magic, and glamour of a time when travel and movies were a romantic escape." Stern is also a champion of the new urbanism movement. In 1997 Stern's architecture firm, RAMSA, was chosen to design the Master Plan for Disney's planned community known as Celebration, Florida. It was to be a real community, where real people live and commute to nearby Orlando, but modeled after a typical sleepy Southern town of children, bikes, and neighborhood pets. Postmodernist architects were enlisted to design playful town buildings, such as the multi-columned Town Hall by Pritzker Laureat Philip Johnson and the Googie-styled movie theater designed by Cesar Pelli. Michael Graves designed a small post office that looks like a lighthouse, or a silo, or a ship's smokestack. Graham Gund's inn is designed for visitors to step into 1920s Florida relaxation, but Robert Venturi and Denise Scott Brown planned the local bank to look like the old J.P.
Morgan vault on the Corner of Wall Street in Lower Manhattan — all postmodern fun. Colorado architect Peter Dominick (1941-2009) knew how to design Disney's Wilderness Lodge and Animal Kingdom Lodge — resort rustic based on American Rockies. The whimsical Michael Graves (1934-2015) incorporated swans and dolphins, waves and shells into the architecture of the Walt Disney World Swan and Walt Disney World Dolphin hotels. Charles Gwathmey (1938-2009) designed Bay Lake Tower to look like a modern convention center and hotel, which it was. Disney employees work in Team Disney office buildings, which in a postmodern world are designed to look like cartoons. Michael Graves' dwarf-clad headquarters building in Burbank, California substitutes dwarfs for Classical order columns. Japanese architect Arata Isozaki uses sundials and mouse ears within the Orlando, Florida Team Disney building. Italian architect Aldo Rossi (1931-1997) created Celebration Place, an office complex that is a drive-by lesson of postmodernism in the history of architecture. When Rossi won the Pritzker Prize in 1990, the jury cited his work as being "bold and ordinary, original without being novel, refreshingly simple in appearance but extremely complex in content and meaning." This is the architecture of a Disney architect. At Disney, architects may (1) strive for historic authenticity and recreate historic buildings; (2) take a whimsical approach and exaggerate storybook images; (3) create subtle, abstract images; or (4) do all of these things. How? Take a look at the Swan and Dolphin hotels designed by Michael Graves. The architect creates a storybook destination without stepping on the toes of any Disney character. Giant sculptures of swans, dolphins, and shells not only greet each guest, but also stay with the visitors throughout their journey. Sculptures are everywhere. Located near EPCOT in the Walt Disney World® Resort, the hotels' architectural theme not only takes storybook-like figures, but also environmental elements as their theme. Like the swans and dolphins, water and sunlight are everywhere. Waves are painted as murals on the hotel's facade. The hotel itself is an entertainment destination. Entertainment architecture is the design of commercial buildings with a focus on amusing themes. The approach has been loosely promoted and/or defined by the entertainment industry, with the Walt Disney Company leading the way. You might suppose that entertainment architecture is the architecture of theaters and amusement parks, and structures exclusively designed by Disney architects. However, the term entertainment architecture can refer to any building or structure, regardless of its location and function, provided that it is designed to stimulate the imagination and encourage fantasy and whimsy. The Frank Gehry-designed Walt Disney Concert Hall in California may be a hall for entertainment, but its design is pure Gehry. Some works of entertainment architecture are playful recreations of famous monuments. Some feature enormous statues and fountains. Entertainment architecture is often considered postmodern because it uses familiar shapes and details in unexpected ways. Perhaps the most striking illustrations of entertainment architecture are amusing theme hotels. The Luxor Hotel in Las Vegas, for example, is designed to resemble a giant pyramid filled with over-sized imitations of ancient Egyptian artifacts. In Edmonton, Alberta, Canada, the Fantasyland Hotel stimulates make-believe by decking out rooms in various themes, like the Old West and ancient Roman splendor. You will also find many examples of entertainment architecture in Disney World and other theme parks. The Swan & Dolphin Hotels may be considered entertainment architecture as guests discover giant birds lurking through windows into lobbies. It is a destination in and of itself. 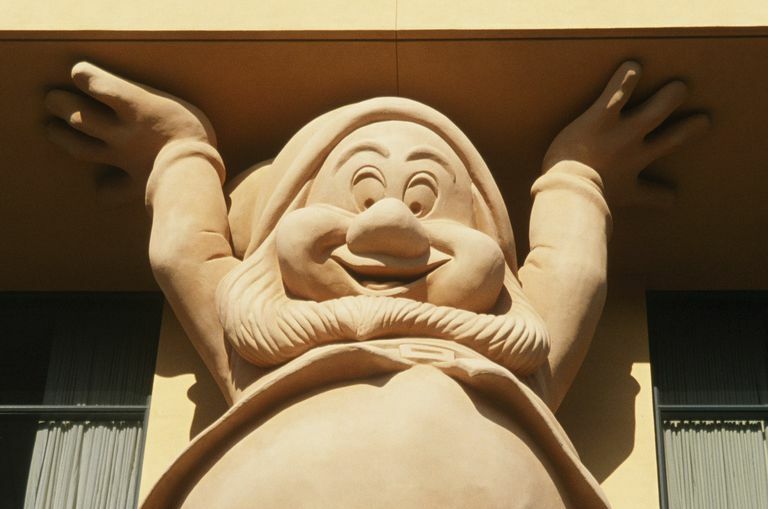 Likewise, the exaggerated pediment at Disney Headquarters in Burbank, California is not supported by Classical columns but is held up by six of the Seven Dwarfs. And Dopey? He's at the top, within the pediment, unlike any other symbolic statuary you've ever seen. One of the best sources for in-depth information on buildings at Disney resorts world-wide is Building a Dream: The Art of Disney Architecture by Beth Dunlop. Don't let the "Disney" name in the subtitle fool you. Building a Dream is not a travel guide, a child's storybook or a sugarcoated romanticization of the Disney empire. Instead, Dunlop's picture-packed book is a careful study of the imaginative and often-revolutionary designs found in Disney theme parks, hotels, and corporate offices. At over two hundred pages and with a focus on the Michael Eisner years, Building a Dream includes interviews with architects, drawings and color photos along with a helpful bibliography. Author Dunlop has written for numerous architecture, design, and travel magazines, as well as being the architecture critic at the Miami Herald for fifteen years. In Building a Dream, Dunlop approaches Disney architecture with the care and respect of an anthropologist. 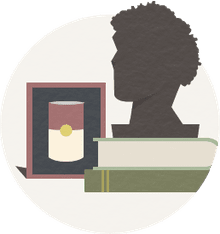 She examines original concept drawings and historic photographs and she conducts extensive interviews with architects, "imagineers" and corporate leaders. Architecture enthusiasts will be fascinated by the inside story of how the trendy architects Eisner hired managed to incorporate Disney motifs into complex and often abstract designs. Building a Dream is a book studded with anecdotes: We learn about the heated competition to build the Swan and Dolphin hotels and the oriental philosophies expressed in Isozaki's striking Team Disney building. We make dizzy and sometimes disorienting leaps from Disneyland to Walt Disney World to EuroDisney. An occasional technical term, such as "scuppers along the parapet" may leave some readers baffled, but overall Dunlop's tone is relaxed and conversational. Devoted Disney fans may wish Dunlop had spent more time on Cinderella's castle and Thunder Mountain. Even in its early days, the Walt Disney Company pioneered imaginative building styles. Dunlop traces the evolution of the first Disney Main Street, Future World and the original corporate offices. For Dunlop, however, the most exciting architecture was created when Eisner took over the company in 1984. When Eisner commissioned prize-winning architects to create new designs for Disney worldwide, the ideas baked into modern architecture were brought to the masses. This is the importance of the Disney architects.